The reality is this: customers come and go. This is why to achieve a successful ecommerce site, you need to have a continuous flow of customers. And that begins by generating the right leads to sustain a healthy sales funnel and customer base. Ecommerce lead generation helps you introduce your online store to new sets of potential customers who have never heard of your store before so you can convince and nurture them to buy your products in the future. At the end of this post, you will gain proficiency on how to draw more quality traffic into your eCommerce store, how to maintain a steady flow of leads, and how to turn your leads into paying customers. Not all your visitors will buy from you immediately. Sure, they might check your site and have a quick look around. But, a huge chunk will never convert the first time. For you not to waste your visitors, create a lead magnet to ensure that you’re capturing them effectively. Once captured, you can then build a relationship and nurture them into paying customers. A lead magnet is any compelling offer that you can trade to a visitor in exchange for his or her contact information – email address, phone number, address, etc. The most commonly used lead magnet that you have probably encountered is a downloadable content, such as a free whitepaper, guide, eBook, etc. Lead magnets come in various shapes and sizes. For eCommerce sites, create irresistible and creative offers as lead magnets. Maybe a lookbook for online fashion stores or recipes for kitchen stores? 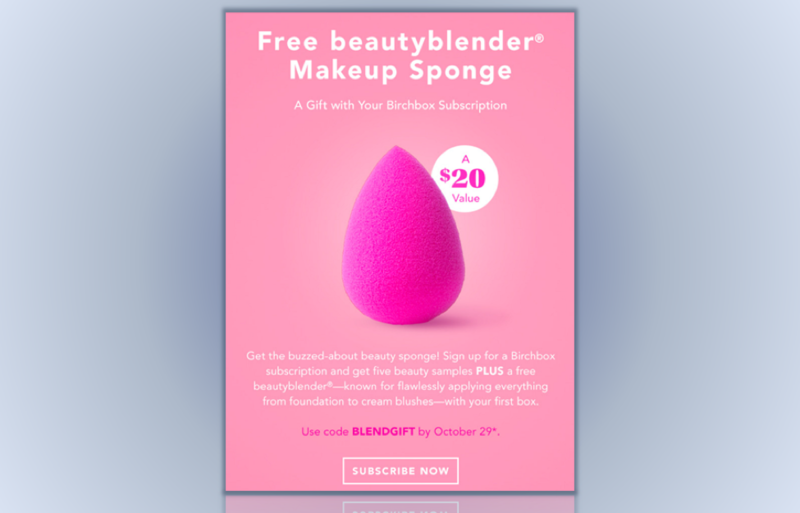 Why not a free trial or a free sample? Birchbox, for example, enticingly magnets visitors with free product samples for every successful subscription. In lead generation, social media shouldn’t be discarded at all. The mere fact that people follow your social media account is already a sign of interest in your brand and the products that you offer. Your social media followers are quality leads that are just a click away to purchase. This is why building and growing your social following is an essential and a modern strategy in lead generation. Get and grow your followers by promoting your social media links into different channels, such as newsletters, email campaigns, and, of course, within your eCommerce site. Now, this means that you are increasing the chance that a visitor will convert and at the same time gaining more visibility of your products and your store on social media. That’s an easier way to attract more qualified leads into your online store because that customer’s friends and loved ones might probably share the same profile as your target market. Now, that’s a good promotional strategy! Search engine optimization (SEO) is also a non-traditional form of lead generation. SEO is a great way to generate more qualified leads by attracting more organic traffic to your eCommerce site. SEO uses business related keywords to help you increase your site’s search ranking. So when the customers search for those terms, they can find your contents first and may follow the link back to your site. If they like what they see on your site, you can convert them into leads and then later into sales. The key to generating more organic leads for your eCommerce store is to optimize your site for search engines. Start by identifying the keywords that shoppers use when they are searching for a particular product. Evaluate your targeted keywords based on search volume, relevance, and competition. Once you have the list of keywords, put them to use. The most basic implementation is through your website’s elements, such as titles, descriptions, headings, image titles & alt texts, and URLs. You can also inject these keywords into your contents or blogs. In SEO, it is important to constantly produce unique and new information as search engines love fresh and quality contents above anything else. To learn more, here are SEO tips for eCommerce. If you don’t act quickly from the moment your visitors enter your site, you will waste a staggering percentage of potential leads to waste. Why not strategically place an email opt-in form asking for your visitor’s email address? Building an email list will give you time to convert your visitors into qualified leads. Did you know that there’s an average of 60% visitors who will abandon an eCommerce site and never return again? You can salvage 60% of your visitors by making sure that you have an exit-intent technology in place. Exit intent uses a popup form that appears whenever it detects that a visitor is about to leave your site without buying. 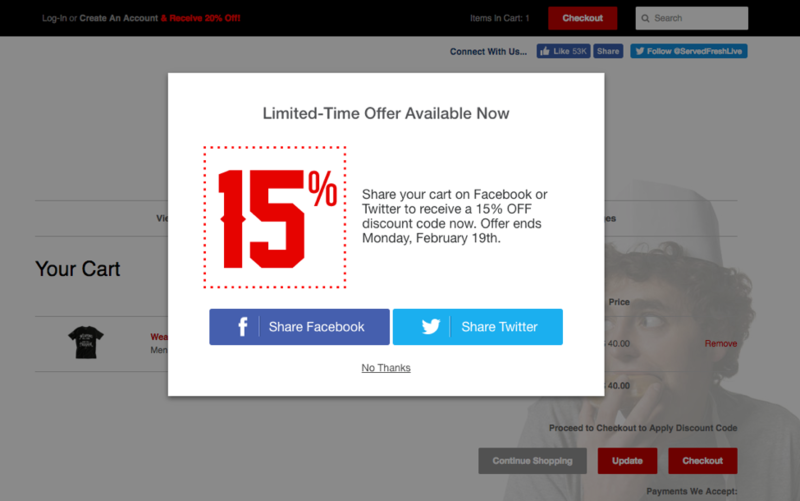 You can use this exit-intent popup form to display lead magnet offers such as freebies or discounts to push shoppers into conversion. 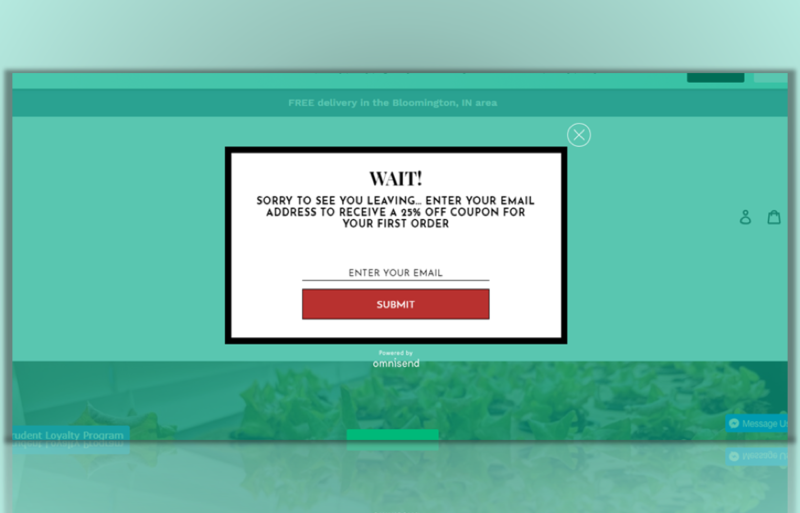 For example, Prudent Farms has effectively employed an exit-intent popup to display a message that tells the visitor to “Wait!”. This stops the visitor from leaving the site and check the discount offer. The exit intent offer is a lead generating strategy because the discount offer can be redeemed in exchange for the visitor’s email address. Now, that’s clever! Visitors come to an eCommerce site at a varied frequency and recency. Some will be new to your site and others may visit a couple of times before taking any action. This is why you should treat your new and returning visitors differently. Imagine if a visitor has been checking your site 5 weeks in a row and still hasn’t purchased anything because you have the same offer over and over again. It’s important that you offer something new whenever people return to your site especially if they’re not converting even though they’ve visited you a couple of times already. It tells you that there’s something unappealing regarding your offers. You can already set up separate campaigns for your returning visitors by using cookie detection. Based on your rules, you can identify who can see the campaign. 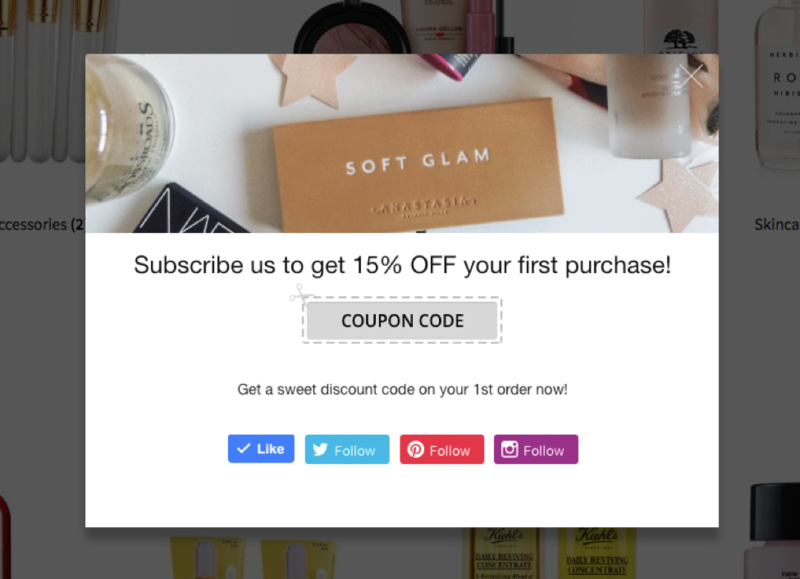 For instance, once you detect that you have a returning visitor, you can already set up a popup discount coupon with a headline like ‘Welcome Back. Get 15% Off’. People who proactively reach out to you via available communication channels, most especially chats are the ones with organic interest. In fact, 53% of people are more likely to shop with an online store that they can message directly. 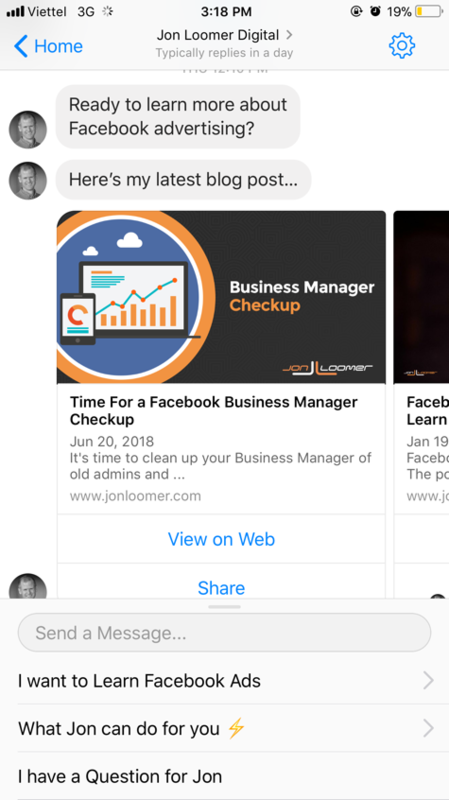 You can easily use extensions like the Quick Facebook Chat feature from the Beeketing for WooCommerce plugin to activate your own chat window on your store. 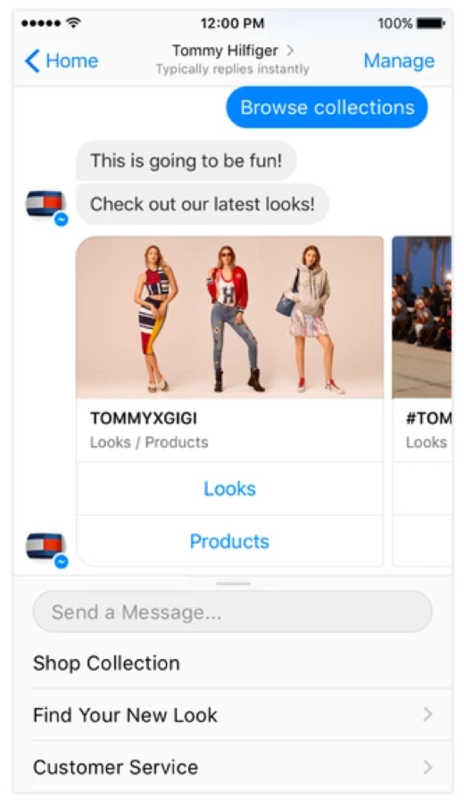 If your WooCommerce store already has a live Messenger Chatbot, you can already nurture your customers and retarget them with helpful information to drive them into conversion. Follow-up emails are typically sent to subscribers who have taken a certain action on your website or have initiated a conversation with you. Say, for instance, a customer downloaded a content from your site, you can send a follow-up email to know if that customer wants to know more about that content. You can create clever follow-up email strategies designed for lead generation. The idea is to establish a communication with your leads so that you can nurture them and bring them back to your eCommerce store again and hopefully drive them to purchase. Follow-up emails can either be set up as pre-purchase or post-purchase. 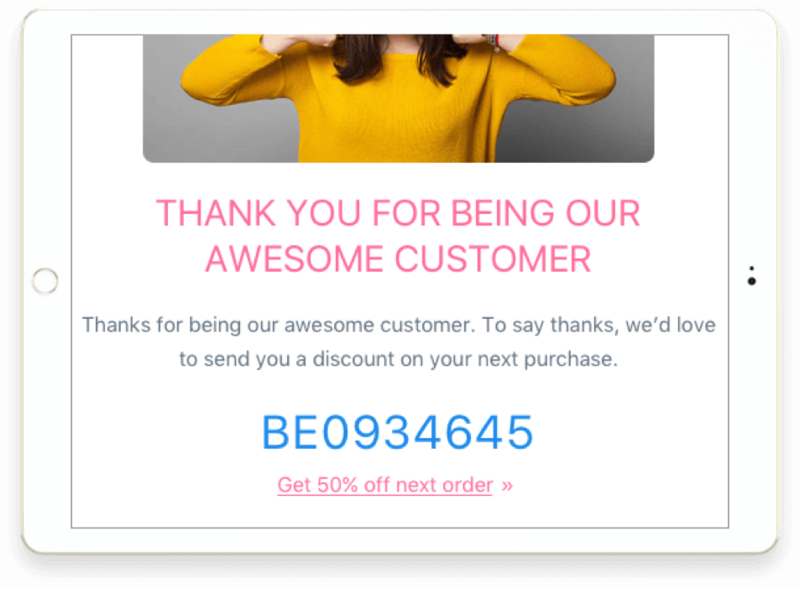 For pre-purchase follow-up emails, you can send emails discussing the features and benefits of the products and include a freebie to push them a little more to conversion. For post-purchase follow-ups, you can ask for a review about the recent transaction and then incentivize them with a post-purchase discount or coupon to encourage repeat purchase. You can conveniently automate these scenarios using the Mailbot app from Beeketing for WooCommerce which allows you to send triggered follow-up emails depending on the customer’s action. With a lead generation strategy in place, you are not only increasing the number of potential customers who will purchase from your eCommerce store but more importantly, you are increasing the quality of leads too. It’s crucial for online stores to have a steady stream of quality leads to keep your online business afloat and successful. However, lead generation is easier said than done. That’s why we have made it easier for you. Our original and effective ways to attract, nurture, and convert qualified leads will surely improve your lead generation strategy and win your customers to more sales and lasting relationships.